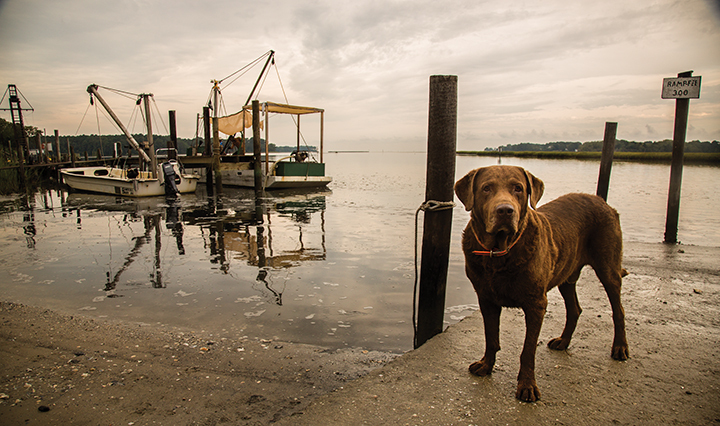 Our pristine location blends the salt of the Atlantic with the productive waters of the lower Eastern Shore. This creates a delectable blend of flavors, a salty sweetness with the slightest mineral hints and a clean finish. Balance is our mantra. Balance between salt and the essence of an oyster, balance between traditions of the past and techniques of today. We share our Nassawadox Creek watershed with three vineyards, conscientious farmers, and watermen who support our efforts in native oyster aquaculture. Our barge "The Oyster Queen" unloads its daily bounty at Bayford Oyster Companys dock where millions of oysters were once landed starting in the 1880s. It is hard to miss the smiles of the locals watching us once again bring Bullseye Oysters across the old planks to waiting trucks.